Four hundred gallons — that’s the amount of water an average American family uses per day. Not only does wasting water hurt the environment, it hurts the wallet. By turning off the tap when brushing your teeth, replacing shower heads and faucets with Water Sense-labeled models and seeking out a water-friendly kitchen sink and accessories, you can save thousands of gallons of water and hundreds of dollars each year. Many modern bathrooms and kitchens are designed in a wasteful manner. Be mindful of the following sink designs and their accessories that waste water when searching for a new apartment and consider replacing or updating them. With the number of sink configurations available, a single, deep basin is impractical. If you have one, the best way to save water is to fill up your sink with enough water to submerge dishes and turn off the tap when you’re washing. A large basin prohibits you from doing multiple things in the sink at the same time like rinsing veggies, meal prep and washing fragile stemware. 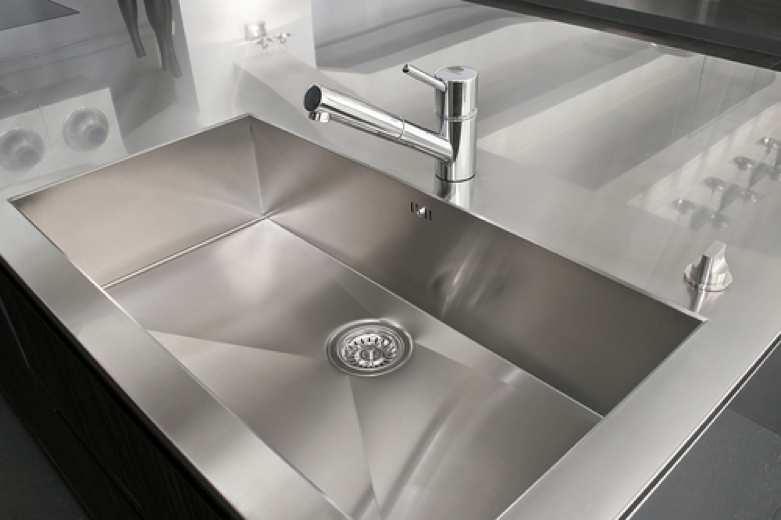 If you have a choice, choose a versatile 60/40 offset sink. Vessel sinks typically sit completely on top of a countertop. They are often used in contemporary design and make a great statement. There are a few problems with these sinks, though. They are often seated too high, causing extra water to splash onto the countertop. Another issue with the vessel sink is that the faucet often doesn’t reach far enough into the bowl so you’re washing right up against the edge of the sink, also resulting in water loss and frustration. Avoid this model of sink if you can. Poor sink design often begins at the faucet. One of the most important things to check when searching for an apartment is the water flow from all of the faucets. Turn them on to make sure they run hot and cold and that there are no visible leaks. A leaky faucet could be due to bad washers and o-rings, a blown gasket or a clogged filter. Conserve water by replacing your faucet with an updated efficient low-flow version. Or install an aerator to your current faucet with the help of this Angie’s List tutorial. Food makes up more than 20 percent of U.S. landfills. That’s 35 million tons. It’s not only mind-blowingly wasteful, it produces methane gas. Many food scraps can instead be put into a garbage disposal eliminating the amount of trash you throw away. The food scraps are ground into fine particles that are sent to wastewater treatment facilities which transform the waste into biogas used for energy generation. 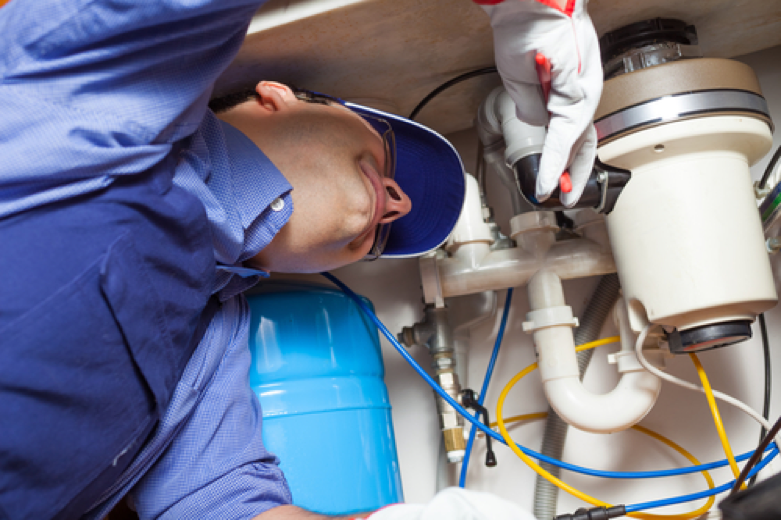 Look for a working garbage disposal in your apartment search and if there isn’t one attached to the kitchen sink, consider requesting or installing one yourself if your lease allows. 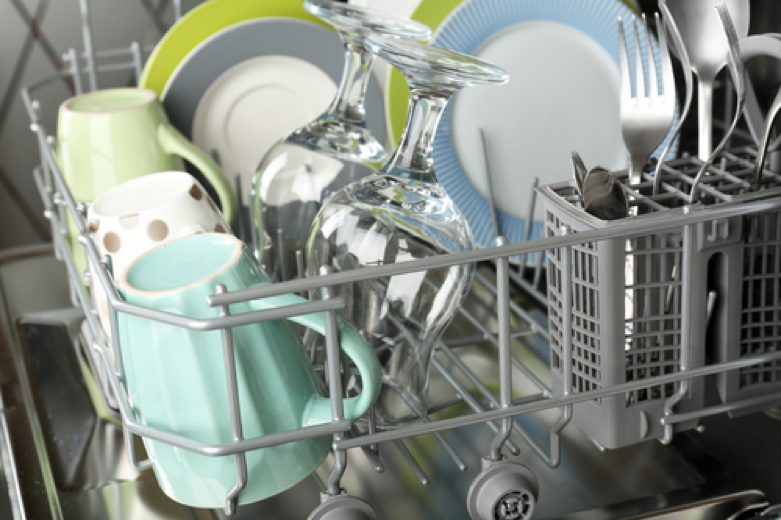 A water-efficient dishwasher can save around 15 gallons of water each day. When searching for an apartment, look for a newer (post 1994) Energy Star dishwasher to reduce energy consumption and save on utility costs. If you get one with a quick wash feature, you will save even more water and energy. Let dishes air dry instead of using the heating element.